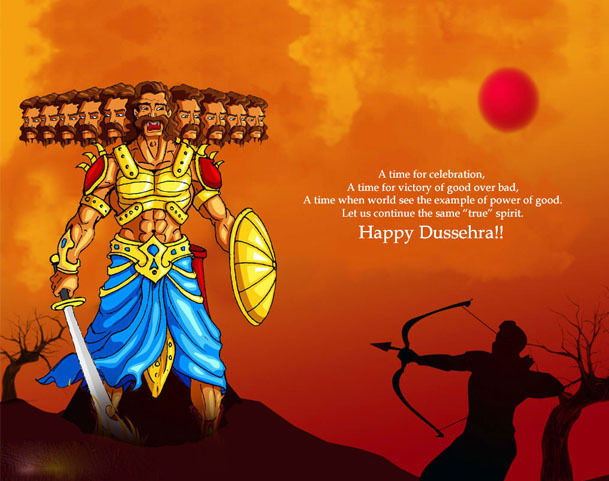 Dussehra is not just a festival, it’s a new start, and it is also Vijaydashmi meaning the tenth day of celebrating the triumph of good over evil such as the victory of Lord Rama over demon king Ravana and the victory of Durga over the mighty Mahishasura. The Dandias, the Garbas in these ten days fills the air with music and dancing, the extravagant pandals with mesmerising idol of Durga are set up for the devotees and burning of Ravana effigies take place as the final part of this festival. Life is celebrated in all its grandeur which lights up the even the darkest nights in its colourful and magnificent splendour. Celebrate this festive season by spreading happiness to everyone around you. We at Ribbons and Balloons know that every new beginning and victory starts with something sweet. So to match the opulence of this festival we have a range of festive gifts of delightful cakes created especially for You to present to your loved ones. Wishing You a very Happy Dussehra... May this day bring you Success with Unlimited Possibilities, Prosperity and Triumph over all your difficulties.